Licofelone: The answer to unmet needs in osteoarthritis therapy? Licofelone, a competitive inhibitor of cyclooxygenases 1 and 2 and 5-lipoxygenase enzyme, is under clinical evaluation for its effectiveness in the treatment of osteoarthritis (OA). Licofelone decreases the production of both prostaglandins and leukotrienes and has been shown to possess a combination of analgesic or anti-inflammatory effects with a promising gastrotolerability profile. 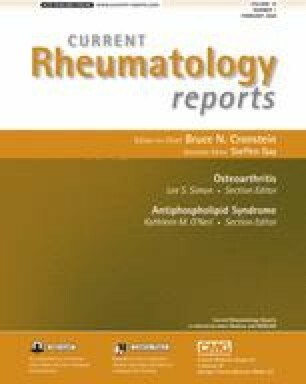 Available clinical data have shown that licofelone is at least as effective as the conventional nonsteroidal anti-inflammatory drugs or coxibs in ameliorating the symptoms of OA, but it may offer the advantage of improved gastrotolerability and fewer or no incidences of worsened peripheral edema. Last, further evidence suggests that it could be a suitable alternative for the long-term treatment of a wide population of patients with OA. The preset review describes the status of licofelone in the treatment of OA. Center for Drug Evaluation and Research: The benefits and risks of pain relievers. Available at http://www.fda.gov/consumer/updates/pain_relievers.pdf. Accessed December 5, 2007.